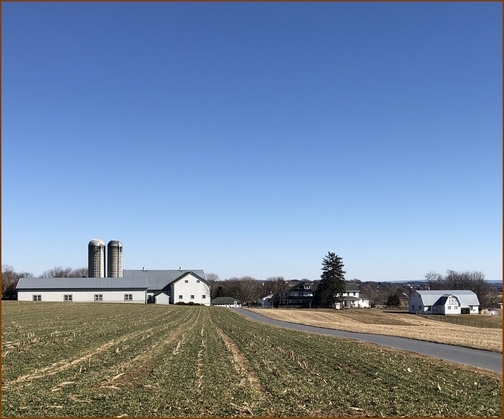 On Saturday afternoon we drove by this Amish farm on Elm Road near Lititz, PA. Message summary: We’ve all been given a trust, let us prove ourselves faithful! “Well done, good and faithful servant” (Matthew 25:21). “Now it is required that those who have been given a trust must prove faithful” (1 Corinthians 4:2). Ten years ago we met Jesse and Wilma Dourte and developed a special family type of friendship with them. Jesse went home to be with the Lord last month and Saturday I had the opportunity to share the message at his memorial service, using a sermon he had given me years earlier that he requested I preach at his service! He was 95 years old. 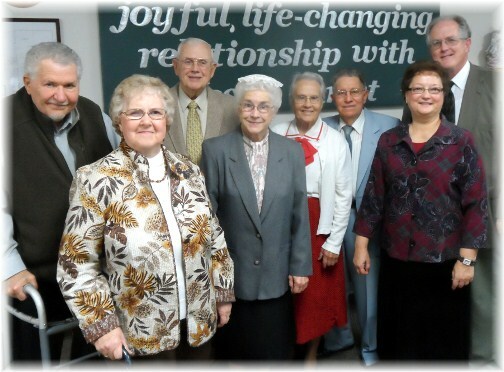 The Dourtes had retired from the pastoral ministry, having served churches for many years in our region of Pennsylvania and in the Midwest (central Kansas). 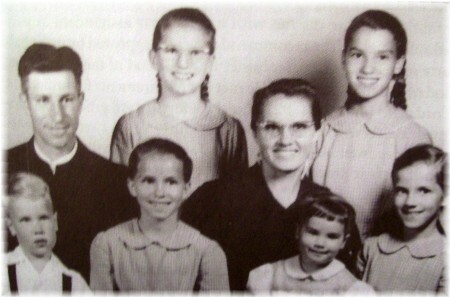 Jesse and Wilma met in a Christian college, married and raised six children. In April they would have celebrated their 72nd wedding anniversary. We were blessed by their their mature perspective on life in general and serving the church in particular. One thing that really stands out about Jesse and Wilma is their personal interest in others and their continued burden for lost souls. In a hospital visit two days before Jesse died he shared that he had been witnessing to the staff. He was raised in a God-fearing home and became a Christian as a little boy. After marrying he and his wife were full-time farmers and much of that time he also served as pastor in a bi-vocational role. A church posted this thought-provoking statement on their church sign: “Better To Be Faithful Than Famous”. Although there are famous people who are also faithful, it occurred to me how often those whom so many recognize as “famous” are certainly not faithful. Many public figures are famous to a sea of strangers but may be estranged from their own family members. Merely consider famous names in sports, entertainment, and politics. Sadly this is also true for some in ministry for Christ. As followers of Christ we’ve all been given a trust. The apostle Paul wrote, “Now it is required that those who have been given a trust must prove faithful” (1 Corinthians 4:2). We are stewards of God’s truth and it is required that we be faithful. This is fundamentally expressed spiritually but in reality spiritual faithfulness is expressed in practical ways as well. Are we faithful to our spouse and family? Are we faithful to our church and ministry responsibilities? Are we faithful to our work related duties and financialcommitments? Above all are we faithful to God and His call in our life? May the Lord help us all to keep the commitments we make. In fact the greatest approbation we will ever receive is when we hear the words from our Lord, “Well done, good and faithful servant” (Matthew 25:21). Indeed, it’s far more desirable to be faithful than to be famous. We’ve all been given a trust, let us prove ourselves faithful! Daily prayer: Father, You’ve given us so many venues in which we have opportunity to prove ourselves faithful. In our relationships, our work, our ministries and the marketplace we want to be faithful in the responsibilities entrusted to us. When tempted to compromise, due to seemingly insurmountable pressures we face, help us to remember that faithfulness to You is the greatest reward. To hear You say, “Well done, good and faithful servant” are the most joyous words of affirmation we will ever receive! Keep us faithful, Lord Jesus, for it is in Your name that we pray. Amen. That’s why we are especially blessed by longstanding faithfulness of believers like Jesse and Wilma Dourte. Our children, young people, young adults, really all ages need to be regularly impacted by these kinds of people. It’s why we strongly believe in the intergenerational church. 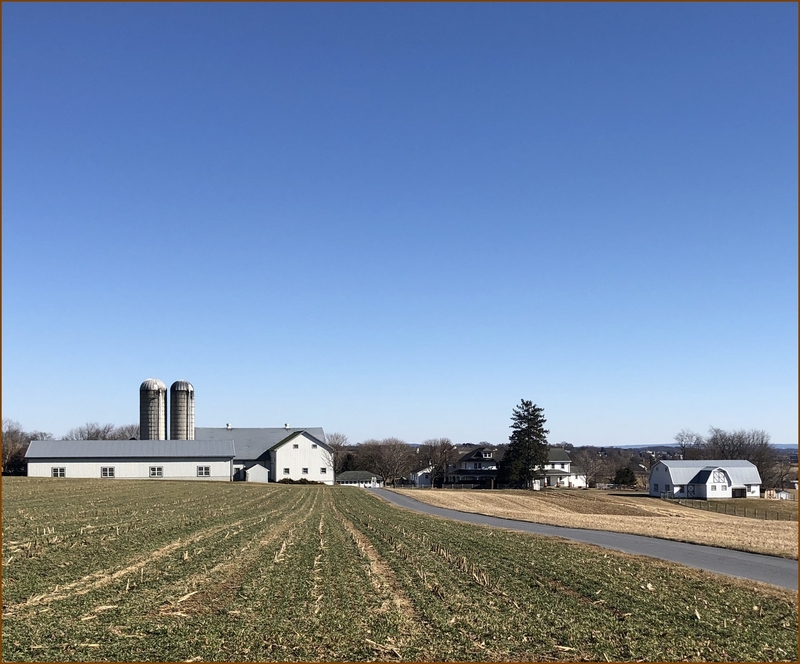 It’s not uncommon for many churches to entirely segregate their congregation by age, and when doing so, there can be an important spiritual dynamic missing. The blending of generations brings about a needed balance in our worship services, and a mutual respect for each generation. Older believers are strengthened and encouraged as they visibly see how God is calling and shaping a young life committed to Christ. And the young ones can visibly witness how God beautifully refines those, who though thoroughly tested through the years by the enemy’s arson, remain faithful and victorious in their spiritual journey. Certainly classes suited for younger ages, where they can be taught the Bible at a level they understand, is appropriate and beneficial. We are speaking of churches that rarely bring children into the worship service at all. Some churches even keep the teens separate in a youth service on Sunday mornings as well as mid-week. We believe it’s healthy to see a congregation with families sitting together and people representing various seasons of life, whether it be grandparents, parents, single adults, teens or youth. Wilma endures a hearing impediment, but with the assistance of hearing aids she seeks to overcome. I’ve known people who completely withdraw from others after their hearing is impaired due to their inability to hear well which greatly affects their communication skills. Yet Wilma joyfully interacts with people realizing that, in those instances where she might not fully hear or understand clearly, the awkward moments will pass and she is not hesitant to let you know she does not understand. Her genuine love and interest in the person speaks even louder than words can convey. Both Jesse and Wilma demonstrated to us the sweet grace of faithfulness and regularly dispensed godly wisdom to us. We will especially miss Jesse’s sage wisdom and even his eagerness to get together. When time had lapsed more than he wanted between our get-togethers, he’d call me and say something to the effect, “I have some fish here, Wilma already prepared a bowl of vanilla pudding, so if you can just prepare the vegetables we can come over and have dinner with you.” I always hung up and announced to Stephen “Company’s coming!” I made the announcement with a smile on my face knowing that Jesse wouldn’t just invite himself over empty-handed, but made sure he would contribute a good portion to the meal. 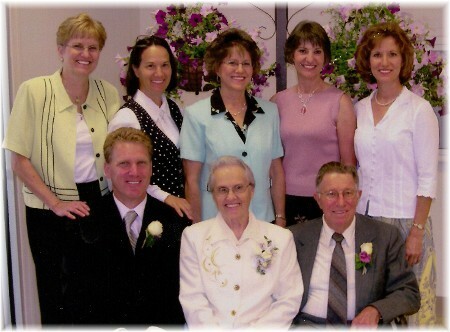 Here is a photo of Jesse and Wilma and their children taken about ten years ago at a grandchild’s wedding. They also have many grandchildren and great-grandchildren, including one born since Jesse died! The Lord gifted each family member with musical skills. Wilma and Jesse busy at work! These two dear friends, like parents to us in some ways, insisted on helping me process our pumpkins and butternut squash each year. In fact they looked forward to it every winter and warned us they would be very disappointed not to be a part of the toilsome job. 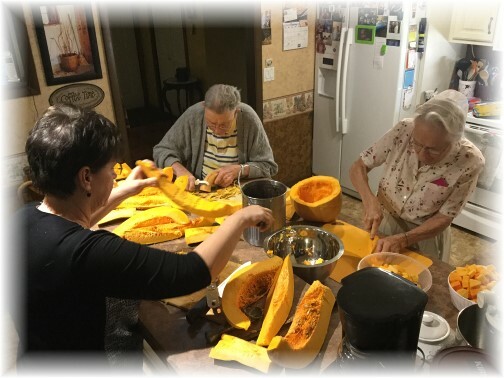 Jesse was 94 last January and I believe Wilma was 93 when they once again sliced, peeled and cut the pumpkins and squash. We fed them lunch and dug right in, or should I say, cut right into the intense labor of cutting, peeling, and steaming the vegetables. Wilma must have been on her feet more than four hours and wanted to stay longer to clean-up though I drew the line there. They were remarkable in their health and strength for their age. Update: Wilma had a fall several months back and is presently wearing a neck brace. Since her injury she and Jesse began living with Maxine and Luther, their oldest daughter and her husband. Wilma will continue to stay with them, now that Jesse is gone. She is so grateful for their love and care as expressed many times to me. Jesse and Wilma loved people. Here they visit with some Amish children. At the service Saturday I met two young Amish men whom Jesse had taught chair caning in the last several years of his life. 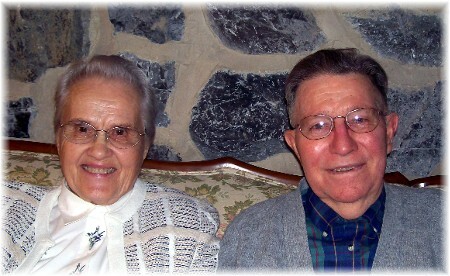 Jesse and Wilma attended the same church with two other retired pastors. 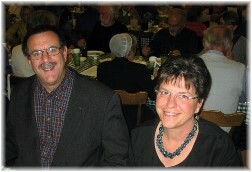 Left to right: Jerel (now with the Lord) and Fran Book; Jim (now with the Lord) and Eva Ketner; Pastor John Keefer and his wife Faithe on the right. The Keefers lived across the street from the Dourtes and drove them to church weekly after Wilma was no longer allowed to drive which happened only about two years ago. The Keefers were a caring and attentive pastoral couple to the Dourtes as they often expressed to us. “Find Us Faithful” Video Steve Green Pastor and Wilma have “lined the way” for many. I encourage you to prayerfully listen to this song as a reminder of those who have gone before us faithfully serving Christ and, as a song of personal aspiration, that those behind us might indeed find us faithful! This version has the lyrics. “A Winning Combination” An article written about the Dourte family in 1964 for a church magazine, “Evangelical Visitor”. They had met Pennsylvania Governor William Scranton in Harrisburg, the state capital, where he commended the Dourte family. 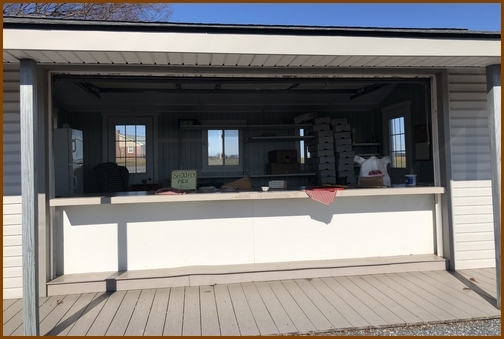 At the end of the long lane leading back to the Amish farm, shown in our lead picture, was a produce stand selling Shoo-fly pies using the honor system. 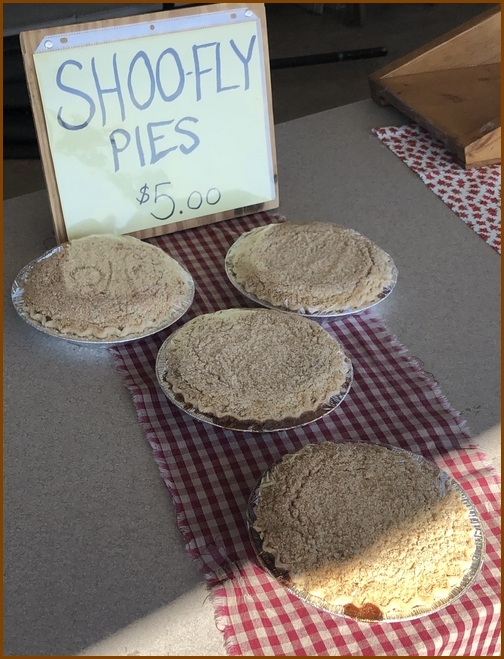 Of course we bought a shoo-fly pie!